Kopiko Coffee Drops... for that much needed coffee flavour when you are out and about with the kiddies! Yum! 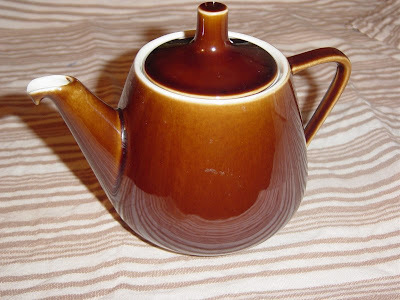 This very cute teapot I inherited yesterday from my special Nana (who is now in a rest home). 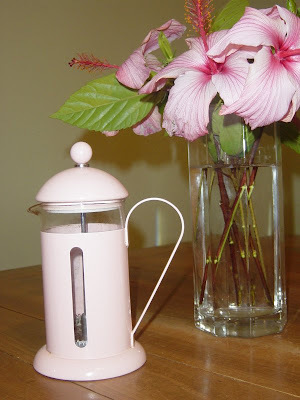 A little pink 1 cup plunger... very special and cute! 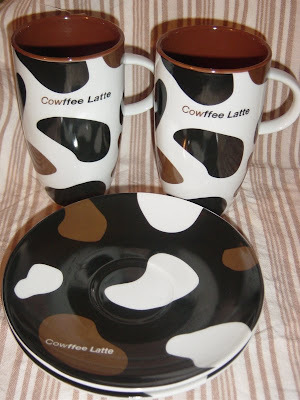 Cowffee Latte cups and saucers... a special gift from Mandrake a couple of years ago. 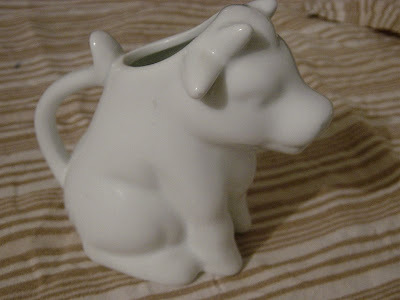 My little white cow milk jug... despite dribbling milk from it's mouth, I still love him! There you go - funny little things that I like... probably mainly because of special memories. I must go and make myself a pot of tea!